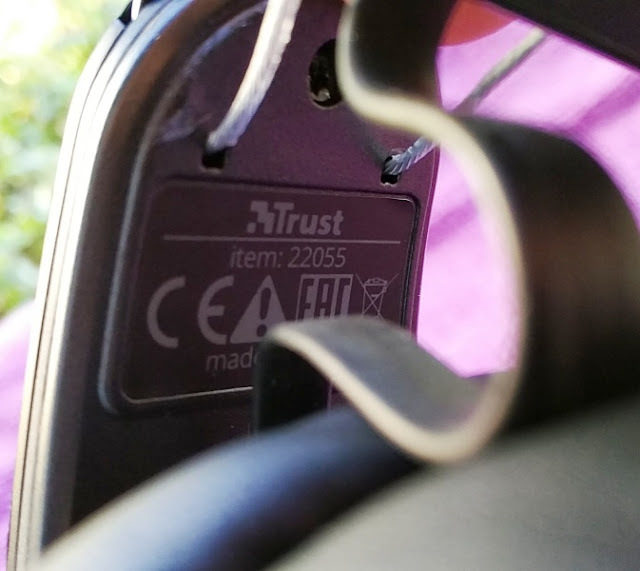 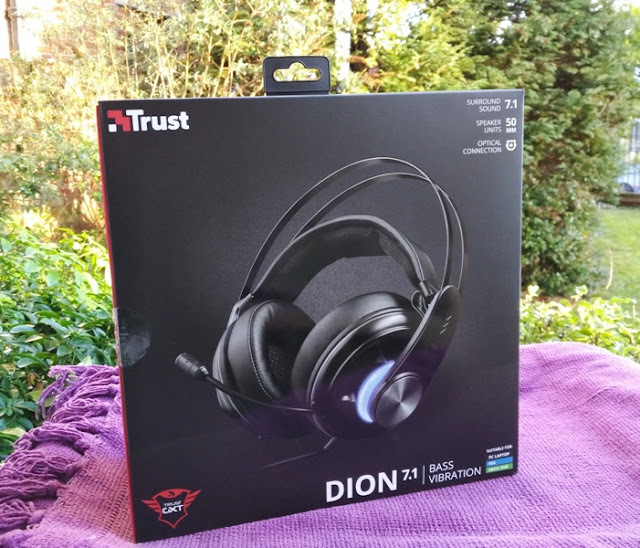 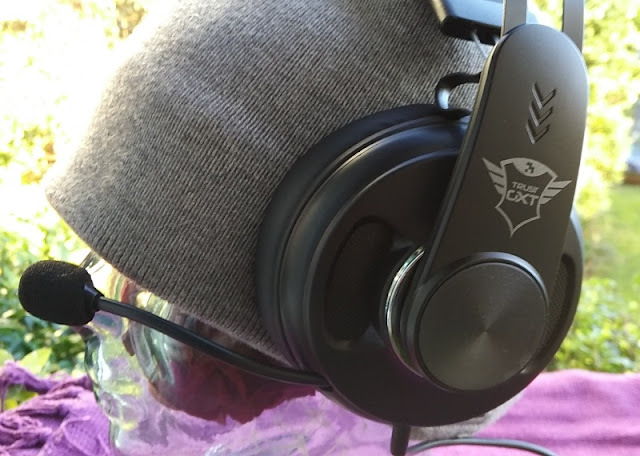 Giving both studio and audiophile headphones a run for their money, the Trust GXT 383 Dion gaming headset is a quality gaming headset that delivers superb audio quality. 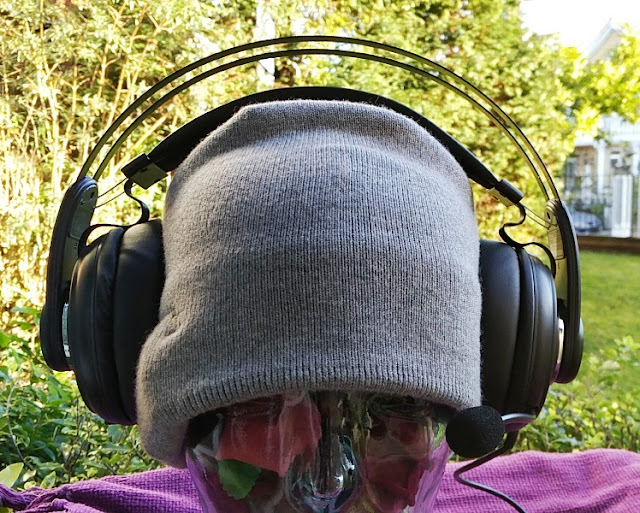 On top of that, the headset sits on top of the head and over the ears so comfortably that you can wear them for hours on end! 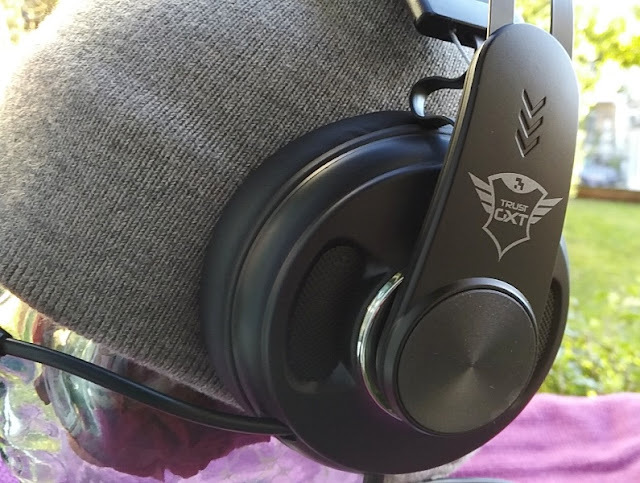 The GXT 383 Dion headset is designed for both game consoles and PC gaming. 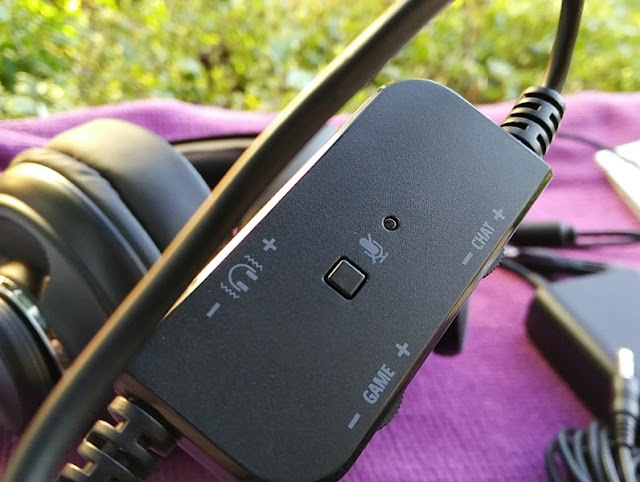 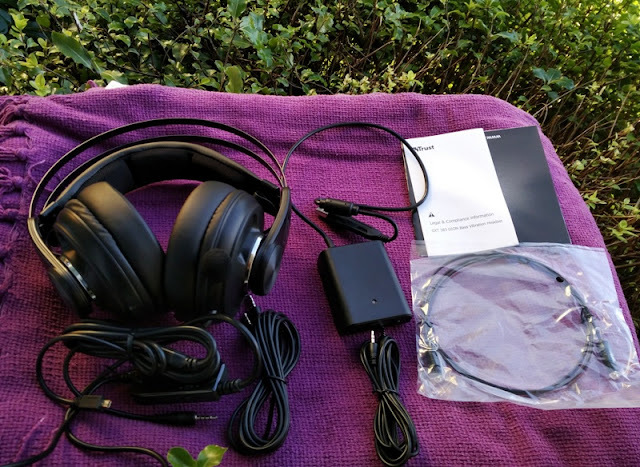 The headset connects directly to a PC via the included USB-powered audio box adapter which channels voice audio and in-game sounds separately via input sound via optical SPDIF or USB. 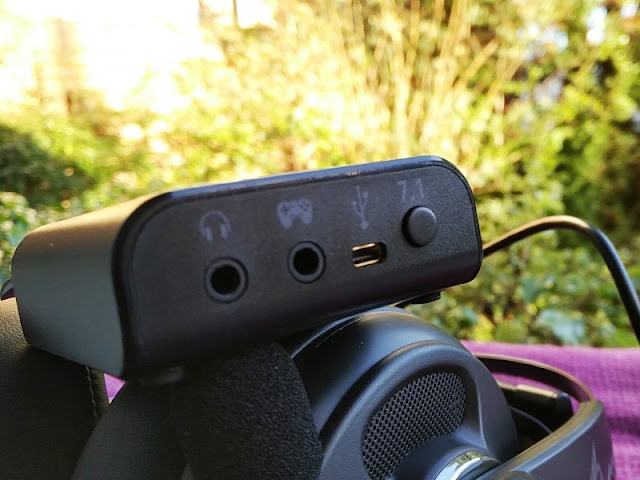 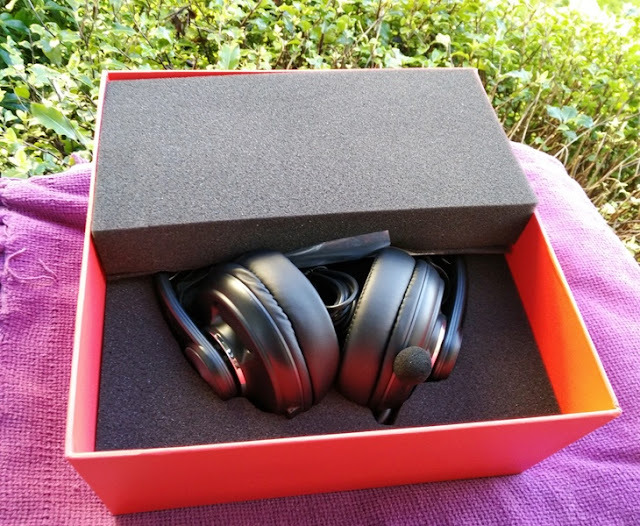 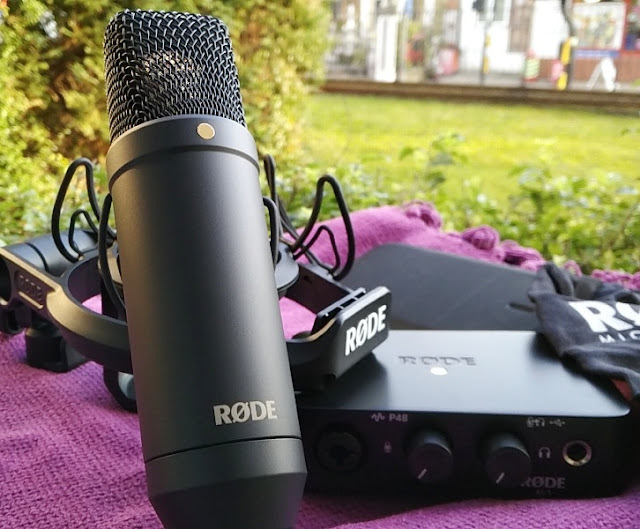 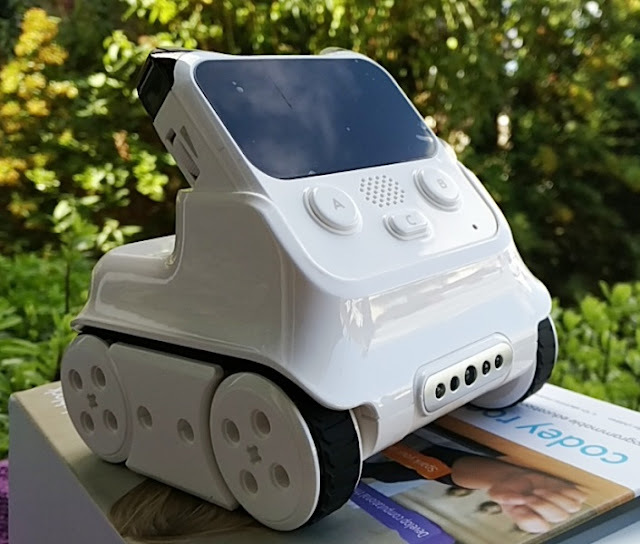 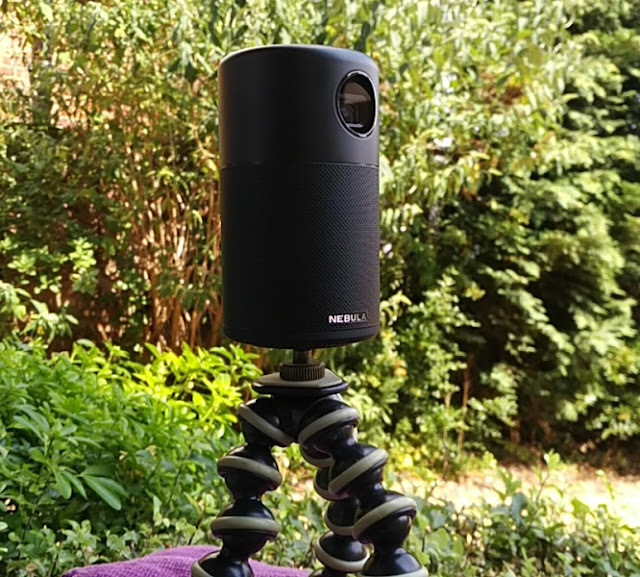 The audio box also features a line-in port, a headphone jack port, a gamepad port, a micro USB port and a switch to turn on and off the virtual surround sound. 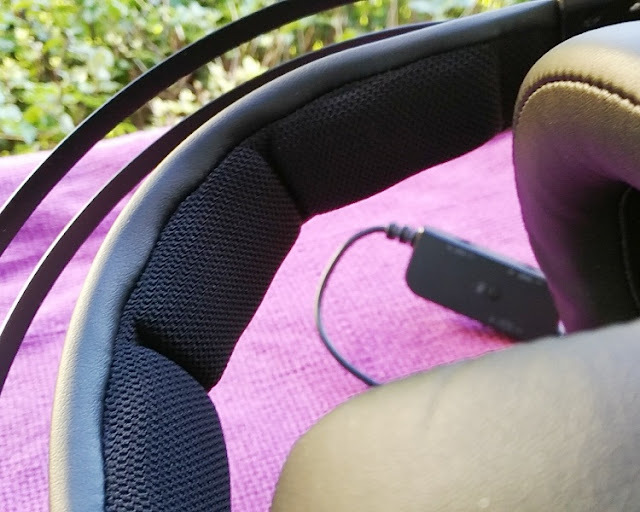 If you are not a fan of virtual surround, you should check out the GXT 410 Rune headset. 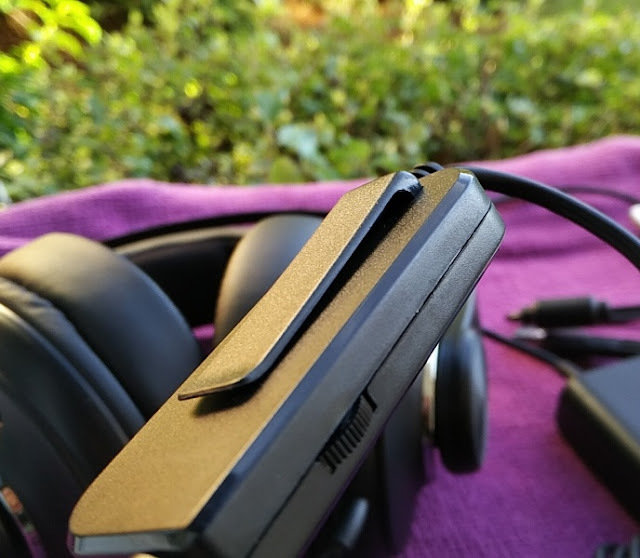 The GXT 383 Dion headset plugs into the 3.5mm jack (headphone symbol) and mini USB port on the front of the audio box. 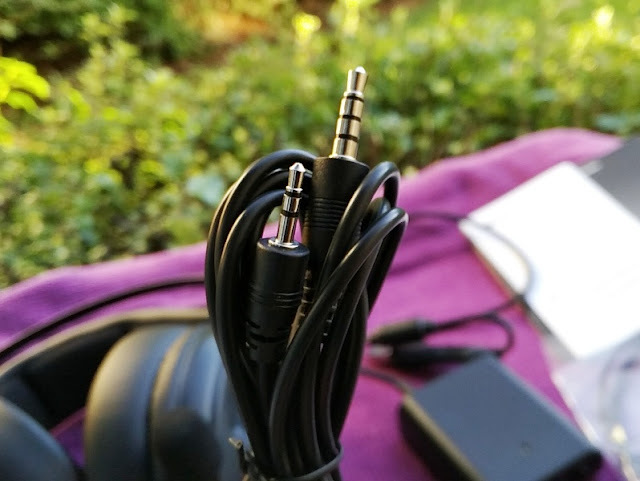 There is also a 3.5mm line-in socket that you can use with the provided 2.5mm male to 3.5mm male stereo audio cable to input audio. 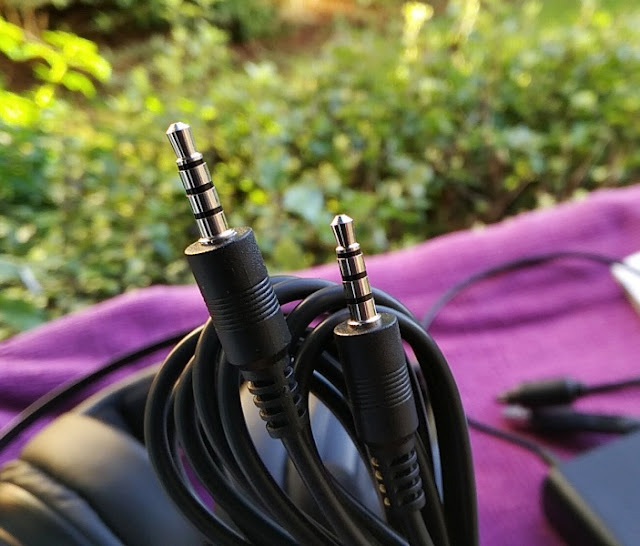 The other 3.5mm audio port (gamepad symbol) on the audio box lets you connect via male to male audio cable to a gamepad's headphone jack for in-game chat. 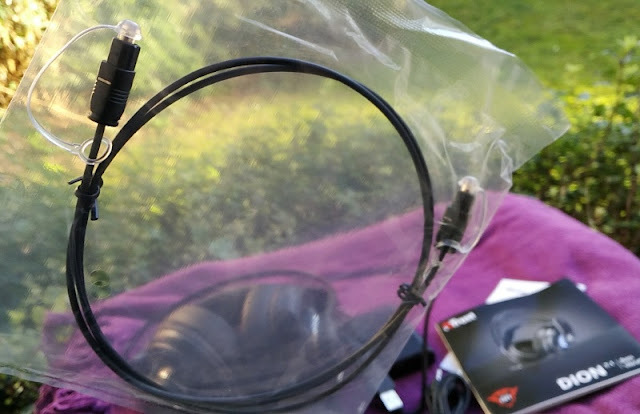 A standard 3.5mm male to 3.5 mm male cable (80cm-long) is also supplied. 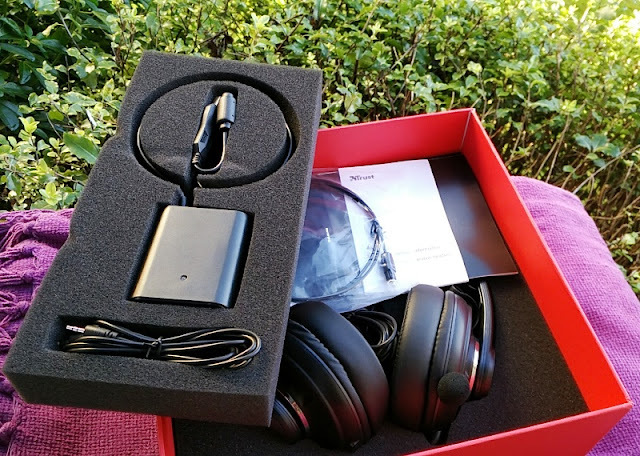 compatible with PC, PlayStation 4 and Xbox One 2015 version. 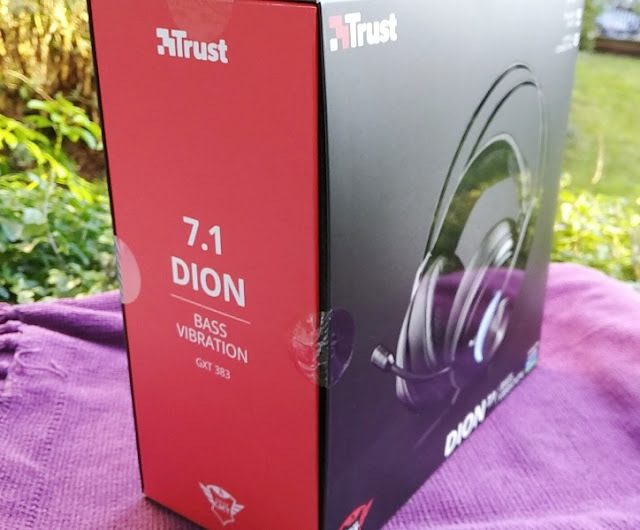 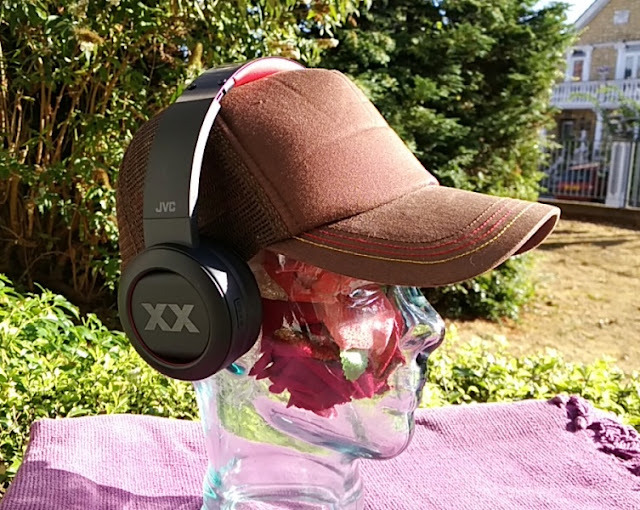 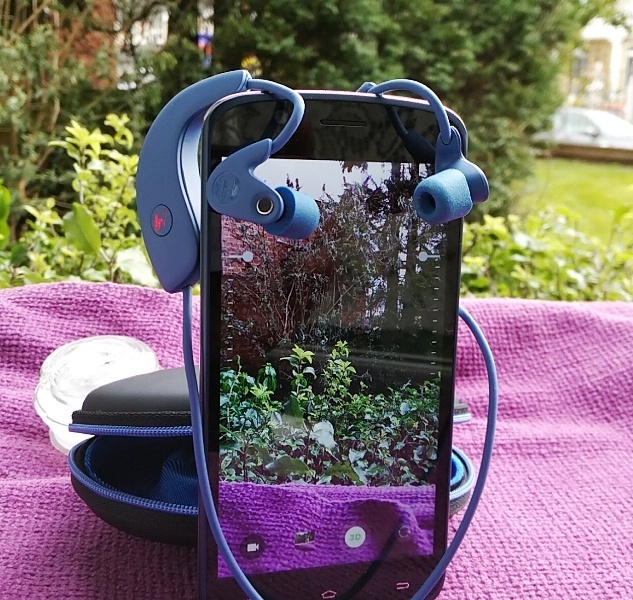 The GXT 383 Dion headset also features 50mm drivers and active bass, which means the Trust GXT 383 Dion headphones have an onboard active bass pre-amp (similar to that of a bass guitar) that automatically boosts the bass levels to recreate the virtual surround sound you get in a cinema or 7.1 home theater speaker system. 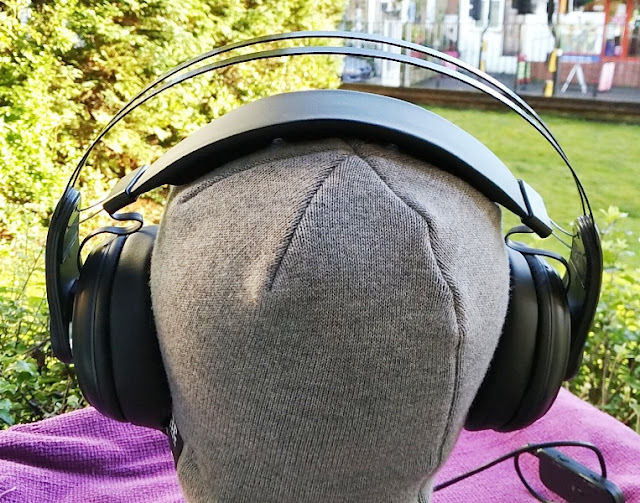 The active bass in the GXT 383 Dion headphones really do a good job at converting low end bass frequencies into a vibration effect you can feel. 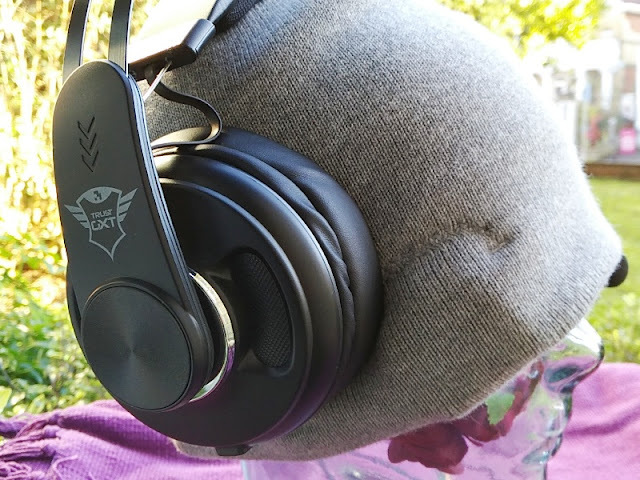 The extra boosted bass also helps during in-game tension buildup and adds to an intense cinematic-like immersion experience. 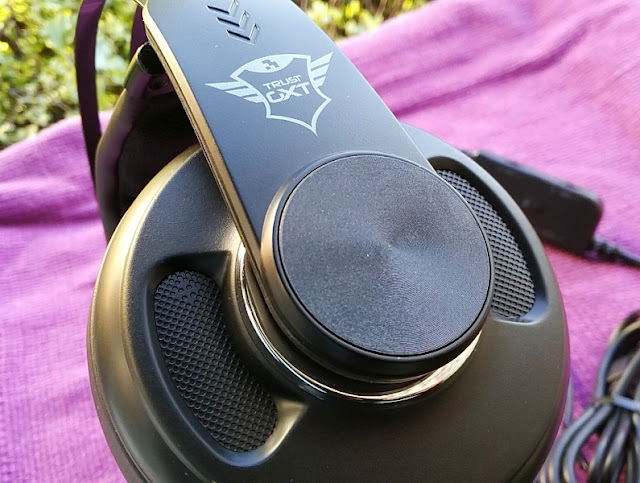 With the GXT 383 Dion gaming headphones, you also get an inline remote control box that allows you to adjust the in-game and chat volume levels, as well as adjust the bass vibration. 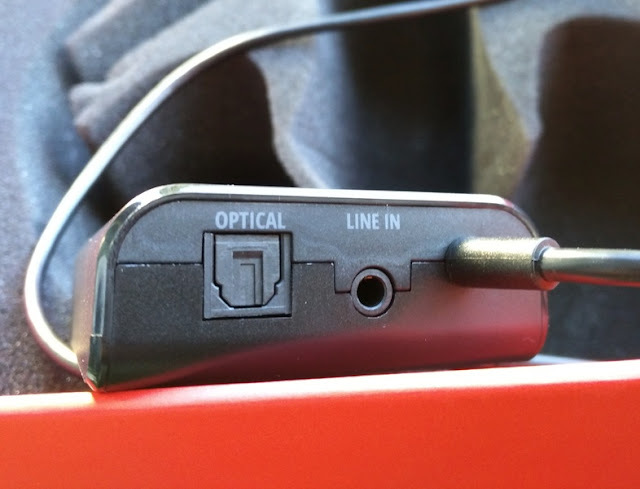 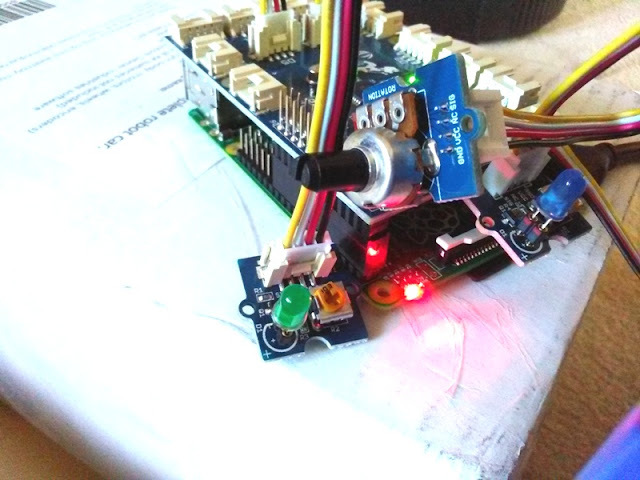 In the center of the inline remote box you also get a mute button with LED to let you know when mute is on and off. 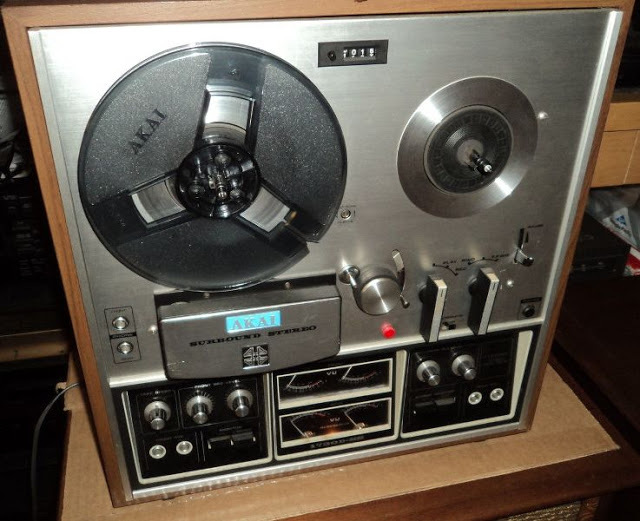 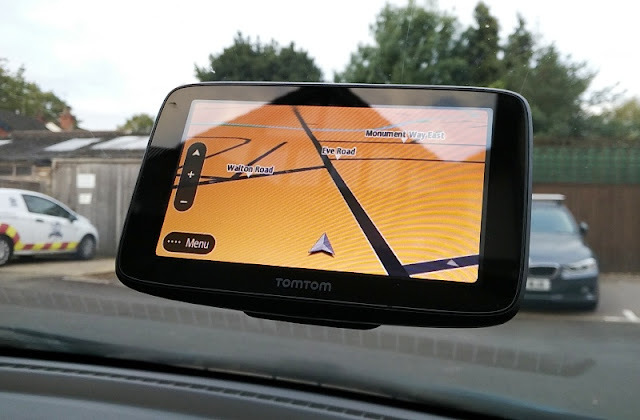 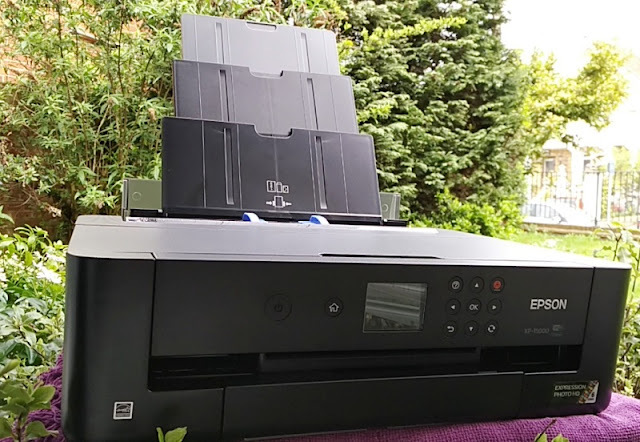 A few other neat features you get with the GXT 383 Dion 71. 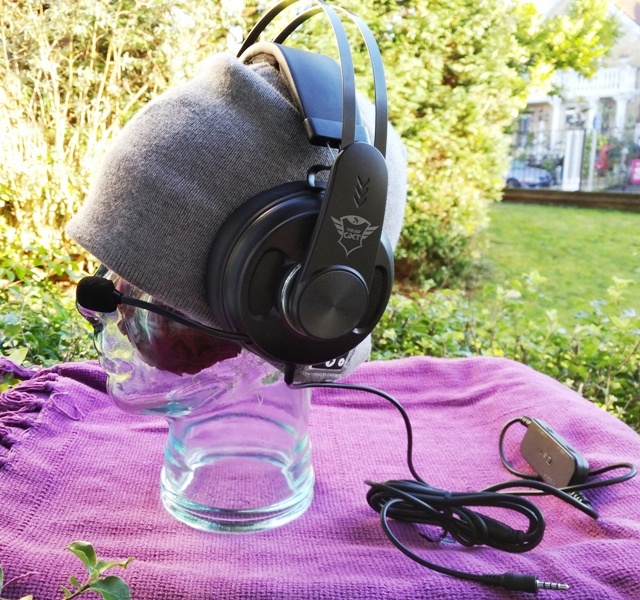 Bass Vibration headset is a retractable, flexible 10cm-long boom microphone, thick soft padding on ear cups, a self-adjustable headband and blue LED illuminated sides with breathing effect. 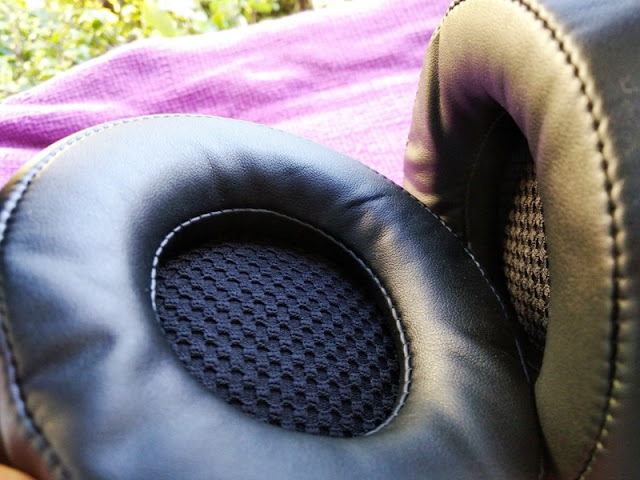 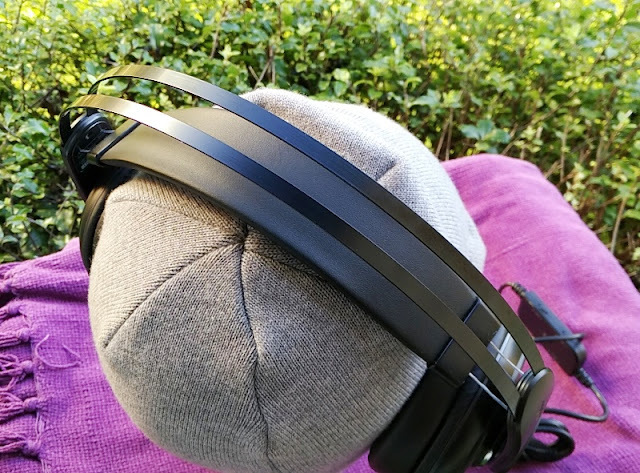 As mentioned earlier, the GXT 383 Dion headphones are self adjusting, meaning that instead of having the traditional adjustment teeth you find in most headphone bands you get an aluminum cabling mechanism that automatically adjusts the length of the headband as you pull down.